Everyone has their preferences in liquid intake. Some people drink coffee to boost energy and warm themselves up, while some people drink cold beverages to freshen up. 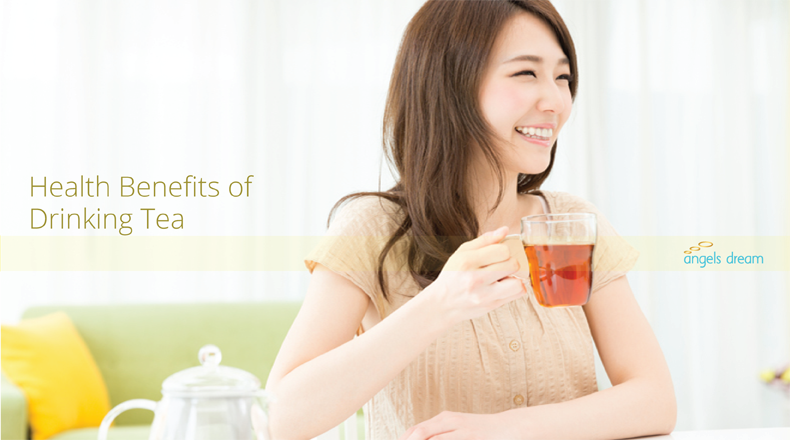 Similarly, drinking tea will provide you the same satisfaction, including some health benefits that you will want to consider. • Earl Grey Tea – The citrus extract in Earl Grey tea will promote weight loss. It is believed that this ingredient will either break down the calories into food for your muscles or become released through metabolism which will result to weight loss. A cup of Earl Grey tea will just soothe your troubled mind. Bergamot, a small citrus fruit that is also an ingredient of Earl Grey, has natural aromatherapy qualities that can lift your mood and ease your stress, anxiety, and depression. • Black Tea – 75 percent of the world consumes Black Tea. It is high in antioxidant compound known as theaflavins, thearubiginswhich are linked to reduce level of cholesterol. Dieticians and researchers have shown that people who drink three or more cups of black tea daily can reduce their risk of stroke by 21 percent. • Green Tea – Has a milder taste than Black Tea. Green tea is full of antioxidants called catechins, a subgroup known as EGCG will ward off everything from cancer to heart disease. One study found that each daily cup of green tea consumed will lower the risk of cardiovascular disease by 10 percent. • Oolong Tea – Oolong is similar to black tea, but it’s fermented for a shorter time, which gives it a richer taste. It contains about 30 milligrams of caffeine per cup. It will aid in weight loss. Oolong activates an enzyme responsible for dissolving triglycerides, the form of dietary fat that’s stored in fat cells. One study showed that women who drank oolong tea burned slightly more calories over a two-hour period than those who drank only water. • Jasmine Tea – The catechins found within many types of jasmine tea have been show to be a key factor in inhibiting LDL-oxidation, which is when “bad” cholesterol in your arteries gets inflamed after being oxidized. That inflammation within veins and arteries can lead to heart attacks or strokes. The catechins found in jasmine tea inhibit this oxidizing process, so blood pressure and cholesterol levels decrease, and long-term threats like heart disease can be prevented.The numerous benefits of drinking jasmine tea extend to improving the strength of the immune system as well! Many forms of cancer and carcinogenic diseases. Tea is not a wonder drink. But it contains vital ingredients that will keep you fit and healthy.